Department of Consultancy & Commercialisation (DCC) is pleased to invite all UTAR staff and students to attend the "Entrepreneurial Talk Series" by Mr Chan Kee Siak, Founder & CEO of Exabyte Network. Venue : Auditorium A003, UTAR Perak Campus, Kampar. 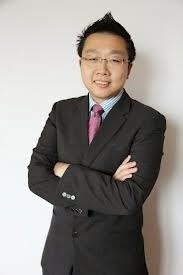 Speaker : Mr Chan Kee Siak, Founder & CEO of Exabyte Network. Mr Chan founded Exabytes Network or earlier known as hostkaki.com in 2001. He had always had an entrepreneurial frame of mind from as early as the tender age of nineteen. While most teenagers his age spent their young adulthood playing War Craft, Quake 3 Arena or other computer games, he was already busy establishing his own business in the technology industry - selling PCs and cracking his head for more web designing ideas, while trying to keep up with his studies. A successful business in his mind was a business that could serve multiple clients at any given time, globally, with high margins and recurring income - all of which he was not getting from his initial business. Naturally, webhosting came to mind which he noticed, fit all of the criteria he was looking for. The business became even more appealing once he studied more in-depth about webhosting industry and got himself awestruck at the power of web and the possibilities that could arise from it. He started up by reselling for other web hosting company and today Exabytes Network is the largest web hosting company in Malaysia with its own servers and 60,000+ clients from over 121 countries. Mr Chan was the winner of JCI CYEA (Creative Young Entrepreneur Award) in 2007. He was also the Top 30 Finalist of TOYM (Ten Outstanding Young Malaysia 2011) and Winner of Ernst & Young Emerging Entrepreneur Award in 2011. In 2012, he won the Prestige Top 40 under 40 award.